Block dust mites and their allergens with our best-selling, pillow-in-a-pillow designed with specially woven AllerRest Fabric®. Fluffy outer down pillow with an inner pillow of supportive feathers. Medium support for all sleep positions. Best pillows ever. I've tried sleeping on many pillows, but these are the most comfortable. They provide the perfect amount of flexible support, without being too soft or too firm. Sleep peacefully on AllerRest Fabric® specially woven to block dust mites and their allergens without the use of chemicals or pesticides. Our best-selling, pillow-in-a-pillow design comes with a 300 thread count, 100% cotton cover trimmed with navy blue printed cording. 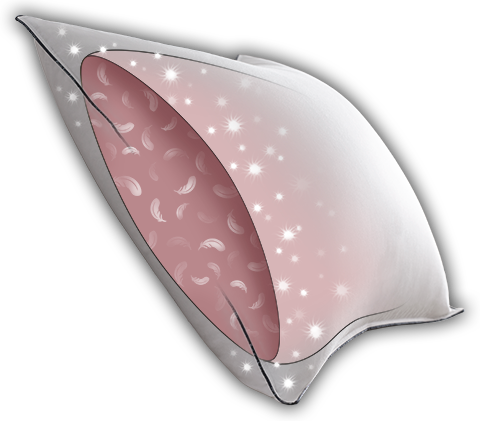 The inside of the pillow delivers medium support with its springy Resilia® feathers. Surrounding the feathers is our fluffy, 550 fill power Hyperclean® down so you can sink your head into incredible softness. 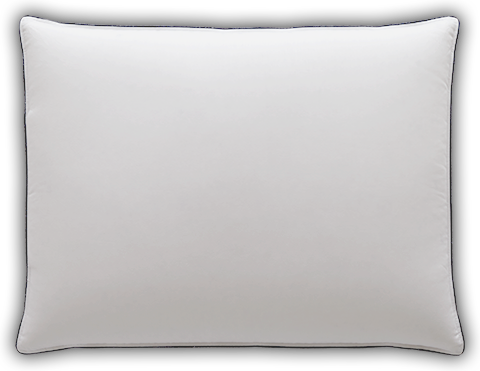 This pillow gives you all the benefits of allergen protection in our most popular design, excellent for all sleeping positions. Machine wash and dry for easy care. Special, extra tightly woven AllerRest® fabric prevents dust mites, dirt and harmful allergens from penetrating into your bedding. This unique chemical and pesticide-free fabric has been lab-tested and proven to be an effective barrier against dust mite transfer. It is woven with 300 thread count, 100% cotton so it's soft to the touch maintaining your ultimate comfort. AllerRest® fabric provides long-term protection against daily allergen exposure, ensuring a high quality of performance for your bedding investment.